A collection of personal statements, e-mails, and SMS from our clients about our geobiological service and the products. GIGAHERTZ Netzfreischalter Comfort NA7 inkl. Prüf-LED und Netzfilter x21: Quick delivery. Good packaging. Easy to install in the fuse box (instructions came with it). I installed 3 in the fuse box. LED lights are recognized. Socket strips with foot switches (relay) are not, unfortunately. LED Kontrolllampe für Netzfreischalter: Quick delivery. Safely packaged. Unfortunately, it does not work with the GIGAHERTZ Comfort NA7 mains disconnector (but it does with the Eltako FR12 mains disconnector). Abschirmstoff SILVER TULLE für Vorhänge und Baldachine. HF Abschirmung bis 50 dB, NF erdbar. : It is a good shielding fabric. When I put my mobile phone underneath it, the reception went down considerably, it was weaker. Good against radiations and radio, effective, in any case, it minimizes the radiations! Thank you! Handyhülle Handytasche mit Strahlenschutz, 3in1 Funktion, wendbar, grün-blau: Great product, good design. And, above all, it does WHAT IT PROMISES. If the cell phone is in the big pocket, the connection is lost. There is no better proof for me than this. There are so many things on the market that claim to protect from radiation. Everything was accounted for scientifically with this product and I can also see myself that it works because of the connection being lost when the phone is hidden in the big pocket. I recommend anyone who wants protection from radiation and wants to keep their personal information. Schlafsack Elektrosmog PRO – Alles inklusive SET. Eine geniale Ergänzung zum Schutz vor Elektrosmog HF (bis zu 35 dB) und NF für unterwegs! : I absolutely recommend buying this. GIGAHERTZ Netzfreischalter Comfort NA7 inkl. Prüf-LED und Netzfilter x21: Quick delivery, good packaging. Schlafsack Elektrosmog PRO – Alles inklusive SET. Eine geniale Ergänzung zum Schutz vor Elektrosmog HF (bis zu 35 dB) und NF für unterwegs! : Full score! I can finally sleep in hotel rooms without having to torment myself through the night. I don’t drive anywhere without my sleeping bag anymore. Thank you very much! Aloe Vera Lips Lippenpflegestift (Forever): Great product. Always again. Aloe Vera Ever Shield Deo Stick / Deodorant OHNE ALUMINIUM (Forever): We have been using the deodorant for 15 years and are convinced of it. 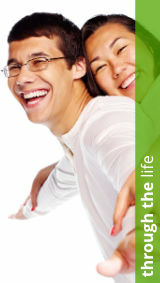 Aloe Vera First Spray – kühlendes Hautspray (Forever): I have been using the product for a while and am very satisfied! In the morning I spray it before brushing my teeth and use it almost as a mouthwash as it neutralized bacteria (in simple terms)! Otherwise, it serves as a “helper in distress”! For mild sore throat, I spray it in the throat so it does not get worse and it helps me too. Especially in men after wet shaving or body shaving, I spray it easily before creaming. In sunburn also highly recommended. I personally do not want to give up this product! Aloe Vera Lips Lippenpflegestift (Forever): Super lip care, will gladly order again from you !!! TESTEN! BALDACHIN Elektrosmog PRO 14 Tage risikofrei mieten (€ 298 + Kaution). Rundum Schutz vor Elektrosmog durch HF (Handy, WLAN, LTE) und NF (Hausstrom). : I like the canopy a lot! The constant sleeping problems that I’ve had for over a year are now history. I can sleep normally again and would like to keep the canopy! Now I know that my sleep problems were related to electrosmog and not to any of the diseases that the doctors were convinced I had. I have also recommended the canopy because I know other people who have similar problems and have not been able to find any solutions. Baldachin SET Elektrosmog PRO fürs Doppelbett – Alles inklusive. Abschirmung HF (Handy, WLAN, LTE, …) bis 50 dB und Erdung elektrischer Felder NF (Hausstrom): I sleep wonderfully!!! I felt like a new person after just 3 nights! I am back to myself and well-rested every morning! Wonderful – thank you very much! Info for electricians: my electrician helped me install it was not very lucky with the earth on the socket. He installed the earth on the central heating. Detergent (wash concentrate) by UNI SAPON: I am consistently happy with this product. Kind regards. Aloe Vera Bright Toothgel Zahnpasta / Zahncreme OHNE FLUORID (Forever): Pleasantly fresh, with no fluoride – what more could you want? I love this Aloe Vera Bright Toothpaste! Best regards. GEOVITAL ONF3 Netzfreischalter Set inkl. Grundlastwiderstand und Kontrolllampe: Works perfectly. Aloe Vera First Spray – kühlendes Hautspray (Forever): I am a big fan for almost 20 years of the product. Without stock, it is not at all with me. Handyhülle Handytasche mit Strahlenschutz, 3in1 Funktion, wendbar, schwarz-rot: Your pages and products left a good impression on me from the beginning. I have been looking for a cell phone case like this one for a while. The delivery was fast and simple. Aloe Vera Heat Lotion – WÄRMENDE HAUTCREME (Forever): I have been using the lotion for a few months and am quite satisfied with the effect. Aloe Vera Activator (Forever): Treat both products quite well despite sensitive skin. D. Cleanser I have not tried. Risikofrei testen: PHYSIOLOGA Therapiematratze mit Streckeffekt probeschlafen (Leihung mit Kaution! ): Great idea to test this mattress – my body adjusted to it after 3-4 days and now I don’t want to give it back! Geschirmte Steckdosenleiste mit Ein-/Aus Schalter, 4-fach: Does what it should, even when all 4 sockets are occupied. It does not get warm, even under high use. Handytasche eWall, Youngline Retro, apfelgrün: My daughter and I are happy about our new e-wall radiation protection cases! Thank you! Erdung testen und prüfen mit Stecker – schneller Erdungscheck ohne Elektriker! : Super and simple product. Geschirmte Steckdosenleiste mit Ein-/Aus Schalter, 9-fach: f I had known that this existed, I would have bought it a lot earlier. Geschirmtes Verlängerungskabel, 3 Meter, schwarz: Crucial addition to shielded power strips. Baldachin Set Elektrosmog PRO fürs Doppelbett – Alles inklusive: I have now been sleeping under the canopy for about a week. My impression is that I am sleeping better and my tomcat, who sleeps with me on the bed, is a lot more even-tempered. The measurements in the canopy are close to zero. 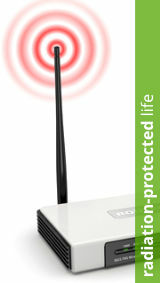 For information: I received between 10-14 W-Lan in my flat, around 6 of which have a strong signal. I turned my W-Lan off. Now you have an idea of what is happening at my place. ARGI+ L-Arginin & Vitaminkomplex (Forever): Everything great. Schlafsack Elektrosmog PRO – Alles inklusive SET: Unfortunately, we were so exposed today to WLAN, TV, cell phones or mobile transmission masts and other electronic devices, among others, that more and more people were starting to suffer from the constant impact. This sleeping bag is a very good product to offer your body good protection for home/out and about. In my case, I must say that it was a life-saving measure back I live in a block of flats and am very crippled by chemotherapy, and I react strongly to any kind of radiation. The sleeping bag is very well-made, offers ample space, is very comfortable to sleep in and very light and space-saving for someone who goes into nature for a while now and then. Therefore, I give this sleeping bag my full recommendation. The advice I received and delivery service were A* and I can only recommend them. WHC UnoCardio 1000 + Vitamin D 1000 (OMEGA-3 Fettsäuren): Super product! Handytasche eWall, Young-Line, rot: The cell phone case is very pretty and practicable. I am now buying one for my granddaughter! Handytasche eWall, Young-Line, königsblau: I am happy that this case has been developed. Aloe Vera Lips Lippenpflegestift (Forever): We’ve been using Aloe Vera Lips for a very long time and we love it. We had to look for a new supplier and came across their company. 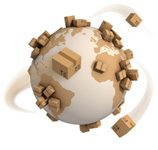 Are very satisfied with the delivery and will surely do the next order again through their company. Grundlastwiderstand Eltako GLE für Netzfreischalter: Works perfectly; I finally have a mains disconnector again!! Aloe Vera Bright Toothgel Zahnpasta / Zahncreme (Forever): Have already tried various toothpastes without fluorine. This is the most pleasant for me until now, because the freshness is given here after brushing. Aloe Vera Ever Shield Deo Stick / Deodorant (Forever): Use the deodorant for some time, just great. Aloe Vera Relaxation Massage Body Lotion (Forever): Super! Aloe Vera Gelly (Forever): Absolutely recommendable got my main problems with it. GEOVITAL NF Digitmeter: With this measuring device, you can measure interfering sources and evaluate their effects after taking measures. I tried the canopy set and was convinced by its functionality. I have been sleeping better and the measurements of the electric and magnetic fields are close to zero within the canopy. Thank you very much! Aloe Vera Deo Stick / Deodorant: Know the product for a long time. It’s the best deodorant I’ve ever had, keeping it fresh all day and containing no aluminum salts. Aloe Vera Lips Lippenpflege-Stift: I’ve been familiar with lipsticks for many years, protecting them from getting dry lips, and itching mosquito bites to itch. Detergent (wash concentrate) by UNI SAPON: I love this detergent: it is economic and washes the laundry perfectly. I also like the pleasant and soft fragrances of lavender and orange. Thank you. Aloe Vera After Shave: Thank you Dietmar for the tip. The skin feels really good after shaving – I would not have thought. Am thrilled. Recommendations follow. Baldachin Elektrosmog PRO zum Schutz vor WLAN, Funk, Strom und Mücken – Moskitonetz: I do not want to do without my canopy anymore! Tensions and fatigue have greatly improved. A calm oasis and retreat in today’s electrosmog time! eWall Handytasche: I am happy. The material also feels nice. I like it. Thank you, the delivery was flawless, the e-wall radiation protection case is great and still looks trendy ? !!! I will recommend this product ? Unfortunately, because our house is predominantly made out of wood, we could not work with the shielding paint – it is even silly in the bedroom. It is great that we were able to find an alternative that we can use with this shielding mesh. I am shocked about this measurable situation of current and wood. Now, I am curious about how the next few weeks are going to be. I will recommend you! Aloe Vera Lips lip balm: I can not do without this lipstick! I always had brittle lips and sometimes bleeding – especially in winter. that’s over with this aloe lipstick. Incidentally, also great at mosquito bites, it does not junk anymore then. Hello, Dietmar. Thank you again for this creative idea against the electric field strains of the bedroom floor. We have put the GPA on the floor under the bed and had it grounded by an electrician. Finding a big enough carpet was a challenge, however. The valuable parquet can now stay there and we sleep current-free. Super! My family and I are ecstatic with the ewall cell phone case and can 100% recommend them. We don’t only use the cases for cell phones, but also to transport homeopathic items. These are also very well protected. ? I would also like to thank you for the great customer service! You are always perfectly advised and the products are delivered very quickly! Thanks a lot! Hello, Dietmar. I have been laying on the mattress for 4 weeks now I simply find it terrible. Why? Because I can’t sleep anywhere as well I can at home anymore. :):) My spine feels educated and the small vertebral joints are a lot more mobile after getting up. It already has advantages if your brother is a geobiologist. In my own house construction, the electrosmog-shielded bedroom is mandatory. And the planned empty piping does not even require a W-LAN. A very very exciting topic, really true! Hi Didi. Thanks again for everything and I am glad that I met you. We are very happy with the new mattresses and all of the remedies for a healthy sleep!! We all sleep like babies!!! Lukas always sleeps through the night and has no more little colds or coughs. Bernd’s hands also do not fall asleep anymore and he is very happy with the mattresses. Regards and have a lovely summer!! Hey Dietmar. Many thanks for letting me test the Physiologa therapy mattress. The part is now the hammer! I also let my mother borrow it for a few days to try it. She is also very impressed, she said that she evens feels a small tingling in her feet. We are very happy and would like one soon. I will get in touch soon, when the time comes. Dear Didi. Thank you for letting me test and borrow your stretch mattress. However, you are unlucky, because you are not even getting it back now. Please get me a second one as well – simply the same as the first one. I don’t want to sleep without these mattresses anymore. My partner probably wants one as well, but you must first come and examine pollution in his bedroom in Feldkirch. Thanks again! Thanks for the opportunity to test this special mattress. It was a lot of fun, it is definitely different – you can feel it. But now I’ll wait and see how well it works with the shielding mats. After long and careful and consideration, we would now like to cancel the (silver) shielding curtain. The reason: all three of us are sleeping (very) well again and do not need any additional help any more. Besides: we swear on your ground mats and don’t want to return them anymore. Also: we are very happy with the mats (and your service) and will happily recommend them! The re-measurement of my new apartment has again worked great and short term. Thanks again for the mattress delivery also for the to my parents in the special size. The possibility of you vouchers for a geobiological examination, I find casual – in my case as a gift. Keep it up! Thank you for your great gift, the Pride After Shave. This cream is really great. Please give me two more, they are great as a present for my brother and a friend. I think I will test the other aloe products too. Thank you for the detailed investigation. I am still stunned by the combination of Hausstrom and my metal bed. Such measurements, I really would not have expected, but with the power switch, the solution was so easy. Thanks also to the mattress, I can really feel the stretching effect and feels the same morning in a very different way. I have been using the protective mat for two years now and I am very happy with it. The mains disconnector also works perfectly. However, I am especially overwhelmed by your Physiologa mattress. I now enjoy going to sleep on it, I wake up so relaxed and rested, fit for the day. I would also like to thank you for coming to my home in Feldkirch. Waltraud. The mats are great. Above all, it is fascinating to see the effects of the mats on our cat. Our pussycat had a fixed place at the edge of the bed (next to the crossing point) up until now, she now sleeps in the whole bed. I can now be convinced by the mats. As promised, I put the mat underneath the bed and my sleep was noticeably better straight away. I got up completely different. The mains disconnector will also be installed soon. It was very important to me to effectively shield both of my treatment rooms. The resurvey has confirmed the shielding effectiveness of the installed materials. I am glad to have met you in time. Now I can plan the shielding well in the shell of my new apartment. Thank you very much for the great advice on the telephone. The Ezy Shoes are unbelievably great, thank you for sending these directly to the spa house. In any case, I am going to advertise these at the spa house. I am very satisfied with the mobile phone pocket. I use the eWall for my emergency globulis, about 10 violas that I always carry in my pocket. So I can safely leave my cell phone in my pocket. Mobile bags tested and great! Hello Mr. Hohn, thank you, the bags have arrived and have already been tested. Great, thank you for registered mail! 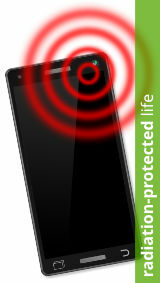 A really great idea on the subject of radiation protection for mobile phones. Works really great! Ask for information on other models, especially for larger smartphones that are longer. The geobiological assessment that you carried out was very impressive and effective. I now deal with the geobiologist at GEOVITAL and let technical shielding influence me in my painting company, I now offer this to my clients as well. Super! If I hadn’t experienced it myself, I would never have known the effect that a geobiological assessment with subsequent shielding has. My life is back! I had no idea what significant effects voltage fields have on sleep. I could (surprisingly for me) immediately sleep much better!